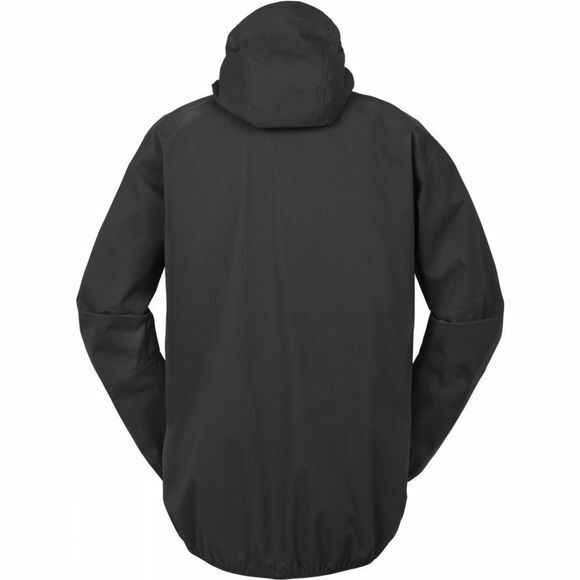 The idea behind the mens L.I.M Proof Jacket is an ultra minimalistic, packable and super lightweight trekking shell. In order to do this Haglöfs have utilised their 2.5-layer Proof waterproof and breathable fabric to perfection. There are no shoulder, side or inner sleeve seams to reduce chafing, particularly if wearing a rucksack, also by using more whole pieces of fabric in construction the durability of the jacket is increased. By only having the one zipped chest pocket it keeps the weight of the jacket down while still giving you a secure storage space for essentials. The elasticated hood, cuffs and hem ensures you get the best fit to block out drafts or sideways rain. 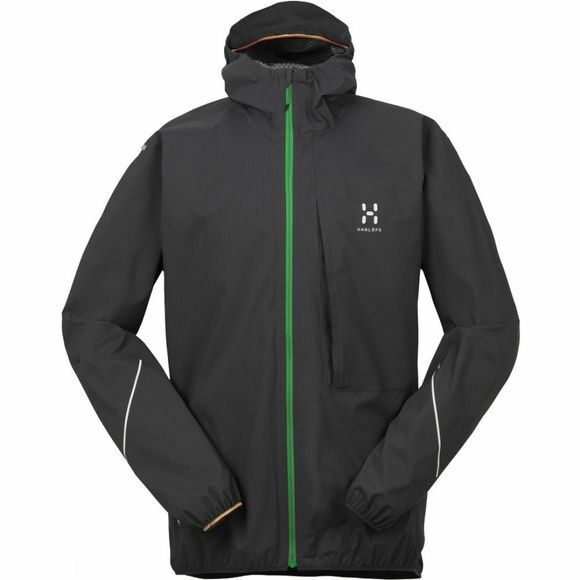 The hem is also a little longer at the back for maximum coverage and the hood has a reinforced peak to give further protection for your eyes so you can see where you are going.